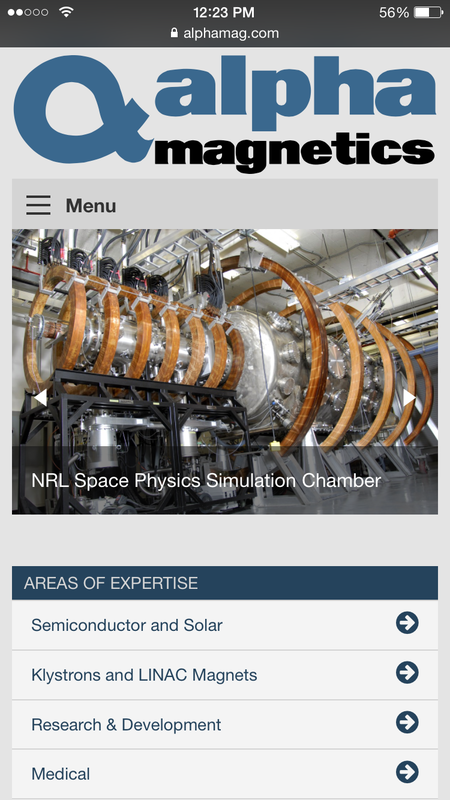 Designed and developed a custom website for global leader in manufacturing of electromagnets and power supplies. 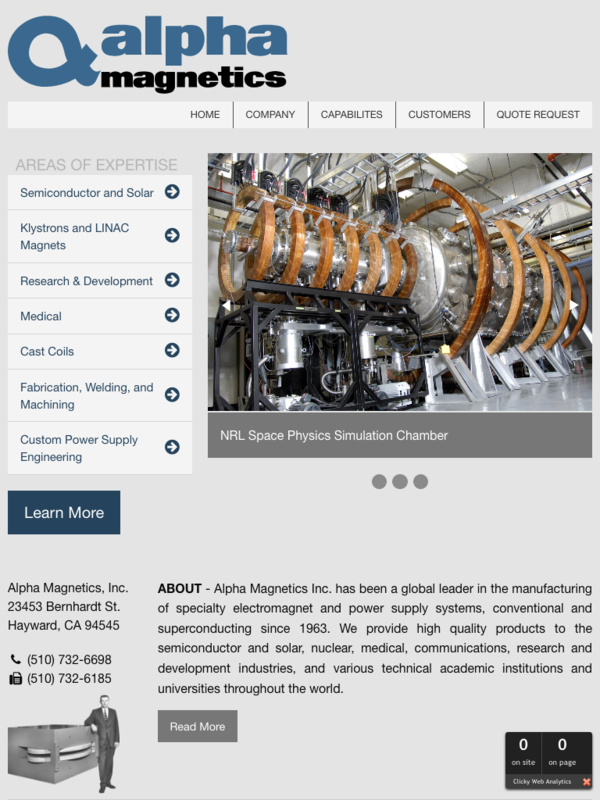 Located in Hayward, California, Alpha Magnetics hired Sky1 to showcase it’s portfolio of work done in the semiconductor and solar, nuclear, medical, communications, research and development industries, and various technical academic institutions and universities. 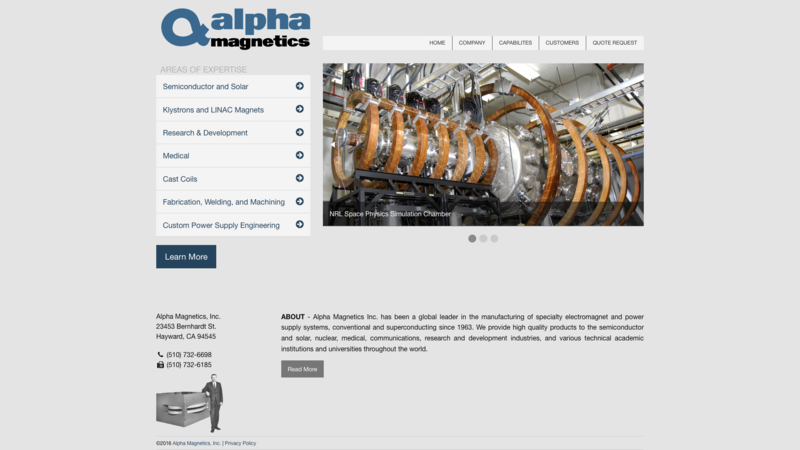 Some of Alpha Magnetics clients are: Sandia National Laboratories, Los Alamos National Laboratory, Columbia University (NYC), Lawrence Livermore National Laboratory (LLNL), Lockheed Martin Space Systems Company, and many more.